comes with a bundle of added advantages- reputation ,brand name,technology and support. It is quiet simple.. Just follow these steps. Your unique website is now launched & it just took 4 hours ! Your website's design layout adjusts based on the size and capabilities of the device on which you open it. For example, on a phone, users would see content shown in a single column view; a tablet might show the same content in two columns. The design has inbuilt capabilities of adjusting to the screen resolution and automatically re sizes images too. CMS stands for Content Management System. Having your website on a CMS platform helps you to make changes and updates on your website's content, images, forms etc. You can make changes 24/7 without any technical know how or assistance. What if i want additional features ? Web Bazaar gives you an option to purchase additional features in the form of "Add Ons". Call us on 080 6999 66 66 or write to cs@webbazaar.com and we will guide you. Can i change my domain name ? 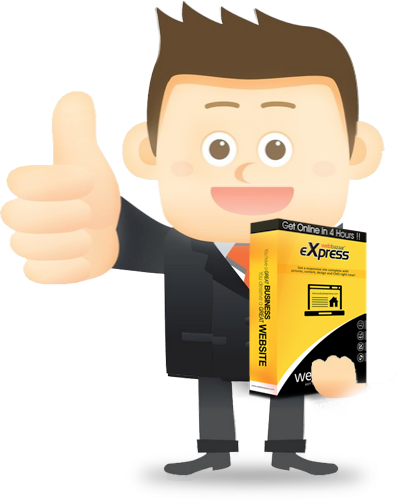 Every express package offers only 1 domain name. However, you can always buy an additional domain name if you have already booked one with us. Will you help with updates at a later date? Most definitely, we know you are busy and may not have the time to make updates. Please send us your update requests at cs@webbazaar.com and we will help you. What are the subsequent year's charges ? Continue to enjoy our CMS facilities, hosting, maintenance, customer support & get your domain renewal at a subscription of Rs. 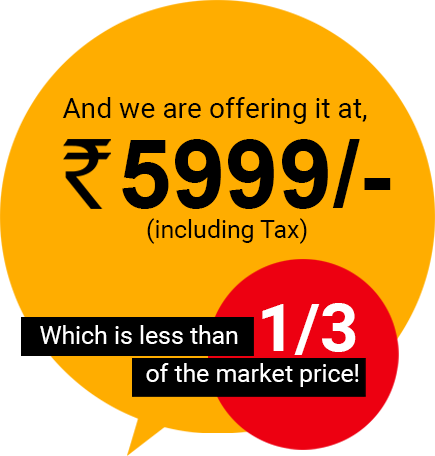 2999/- pa only (Including service tax).
" It took them just few hours to take our website live and have satisfied us in all aspects. The team at Web Bazaar was very quick and fast. What impressed me the most was the process that they follow right from the initial discussions till the hosting of website. I have referred them to many of my friends and present business clients"
Web bazaar has helped in getting our resident welfare association website on the promised time. The website was made at an affordable pricing and the website matched our expectations. Thanks to Web bazaar team, we are delighted to get our website from you people. Amazing! The website got live within four hours with all the content as promised and I heartily congratulate team Web bazaar for their good work. Keep It Up! Got website for my business simply in no time and it’s amazing. I am enthralled with the speed at which my website was delivered. Kudos to team Web bazaar for their good work, keep it up. Call support of Web bazaar is simply fantastic. Web bazaar helped in making our business website a reality in just two and half hours time which was a marvelous. We are very much pleased to get our business website designed from Web bazaar. The backend support was simply awesome and beyond our expectations. Hearty compliments to Web bazaar team, good job! With Web bazaar getting our business online was a piece of cake. We are extremely happy with the outcome we got with Web bazaar. Cheers to team Web bazaar. All our worries were taken care of by Web bazaar pretty well. We got highly professional services from Web bazaar. Congrats! Team Web bazaar for your efficiency in website delivery. Good going. I took up the services of Web Bazaar for my client - Zeva Jewels(www.zevajewels.in); who was being introduced to the online world for the first time. I had taken up the express package and was very impressed with her team's readiness to be available. It was beyond our imagination that we could take our business online in no time at all. The website matched our expectation to great extent and the customer just awesome. Kudos! Team Web bazaar. Good going! Our business got an online identity within the promised time of four hours. We were amazed at the speed at we got online. Must say Web bazaar team is well committed to their job. Glad to get our website designed by Web bazaar. What a website we got! Super design and well placed website content at a great speed. Web bazaar did a fantastic job for us. We are happy with the service that we got from the beginning of the sign-up process to the delivery of the website. Web bazaar helped us with the entire process of creating a website for our business in a hassle-free manner. I applaud Web bazaar team for brilliant customer support. Brilliant color combination and amazingly designed website with a highly professional service is what we got from Web bazaar. We take immense pleasure in praising the entire Web bazaar team, which gave their 100% for us. We were pleased with the way Web bazaar has helped us in getting our business website in the stipulated time of four hours. We like to extend our gratitude to the hard working team of Web bazaar and wish them good luck for their future endeavors. Everything was right on spot with Web bazaar and it was only the matter of sign up for us after that Web bazaar took care of the entire process of creating a website for us within the guaranteed time of four hours. We are very much obliged to get our website designed by Web bazaar. Cheers for team Web bazaar, great job. When I decided to get a website for my business, Web bazaar was without doubt my first choice. And they surely stood up to their reputation by delivering a great website for my business in just 4 hours! Thank you Team Web bazaar for the fantastic work. Unbelievable! That’s first thing which came to me once I saw my website for the first time. Never did I thought I’ll have such a great website for my business. Thank you Web bazaar and their entire team for making this possible in just four hours! From the moment we decided to get a website for my business from Web bazaar, I knew that it’s going be special. True to their words, Web bazaar delivered us an amazing website with great content and design which covers every aspect of my business. Keep up the good work. You've proved that you're a great Brand. What I like the most is the way Web bazaar handle customers. By covering all my business aspects, Web bazaar has done a great deal to boost my business. Thank you Web bazaar for doing it for me. Wish you all the very best going ahead. A website in just 4hours! I was little skeptical when I first heard this idea. But when I saw what they delivered for my business in just 4 hours left me speechless. Amazing work from Team Web bazaar. It's a great value for the money. Thank you and all the best. What stands out the most with Web bazaar is the value they give us as a customer. Great support through out the cause and great value for money. The website they created for my business is top class in every aspect. It covered every major and minor sides of business. Great service and I'll definitely suggest webbazaar for anyone who wish to get a website for their business. Interested to be a distributor? For any new startup, the business culture of the economy is basic. Exhibiting an isolating point of view in the business thought can be extreme, be that as it may, it shifts extensively. India is a center point for particular sorts of new organizations, including development, online business, and cash related organizations. How the Indian market is keen on enduring new business musings makes it easier for new associations to enter it. eMarket Web Technologies Pvt Ltd.